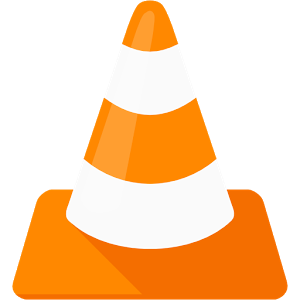 VLC player for smartphones is a free and open source cross platform music player app, which is used by the millions of smartphone users across the globe. With the help of this app, users can play any video or audio file related to any kind of format. This app plays perfectly well on all available devices and platforms, but sometimes its users have to face functional bugs and vulnerabilities at the time of new updates. It happens because of the reason that optimized level functional quality assurance of this app is not carried out with the help of a software testing company. QA professionals at a software company love to use functional testing approaches in order sustain the quality of an app like VLC player for a long lasting time. VLC Player app possesses the following features. Play local video and audio files including adaptive streaming. E.g. DVD, iOS, and desktop files. It supports formats like MKV, MP4, AVI, MOV, Ogg, FLAC, TS, M2TS, Wv and AAC. Audio and video libraries to boost user’s experience. Multi track audio and subtitles with auto rotation and aspect ratio. Functional testing of any app like VLC Player is highly important and it must have to be employed out in a sustainable fashion. Basically, the functional testing of an app refers to its black box testing, which evaluates the functional requirement of an app associated with its requirement. Functional testing simply makes it sure that the app, which is under development process is functionally fit or not. Functional testing measures the code of each component of an app or software to assure quality. Following are the cases, when it becomes mandatory for the development teams of an app like VLC Player to perform functional testing frameworks. Any software or app will be functionally fit in accordance to available multiple devices and platforms if it is tested out in a sustainable fashion, otherwise, there are chances that it will surely lose its overall user’s appreciation and desired expected utility level. Sustainability in functional testing procedures is really essential to achieve expected performance across all available devices and platforms. The development team of VLC player has to make it sure that they consistently test their app to achieve expected quality.